Travel is to find the places where you have not been and trekking in the Himalayas will give you such unexplored places. One such amazing and peaceful tourist place in Uttarakhand is Deoban. A part of a forest in the Kanasar forest range bordering Himachal Pradesh. Deoban is one of the major places to visit in Chakrata with fine-looking forest rest house located at an altitude of 2865m built in 1963. The forests are generally broad-leaved oak, coniferous pine, fir, and Deodar as well thorny shrubs especially near the rocky outcrops. The closest road-head is Chakrata which is 16kms away. Chakrata is an ancient British cantonment town.This tourist place of Uttarakhand will give a glimpse of British Era. Most of chakrata is inaccessible due to army restrictions and presence of dense forest. 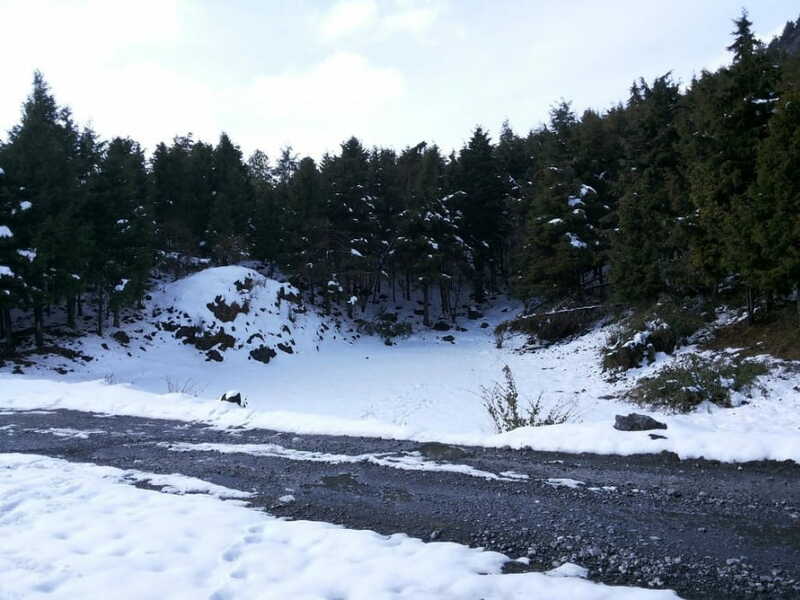 There is a motorable road all the way ahead to the forest rest house but in winters the snow makes the place inaccessible by road. This gives a chance to trekkers to walk along the old forest trail through the dense oak and Deodar forests of this area. Chakrata is at an altitude of 2200m and the trekking route till Deoban can get to almost 3000m. You will begin this amazing winter trek of Uttarakhand with a 4 km trail that leads to the forest Chowki. The trail will take you through dense forests of Deodhar trees. The birdlife here includes thrushes, babblers, nut-thatches who reside in these forests. This weekend gateway trek also gives you glimpses of the tiger falls, Mohna village, the Army Rock Climbing Institute (also known as Spider Colony). 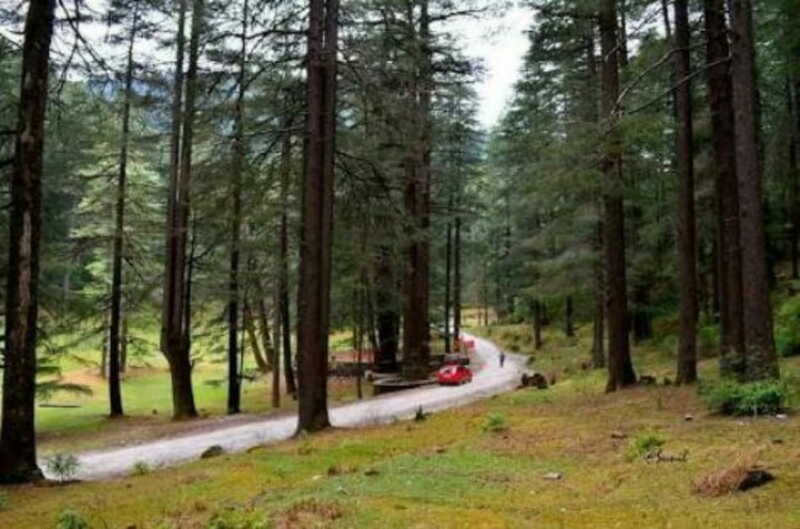 You will set on the Chakrata-Tuini road to Kanasar, a magical open field set among large deodar trees. The campsite at Kanasar is filtered by tall fir and pine trees that keep people protected from the not so good cold winds. Post breakfast, you will begin the trek through forest trails to the Forest Resthouse of Deoban. Packed lunch will be provided for the journey. 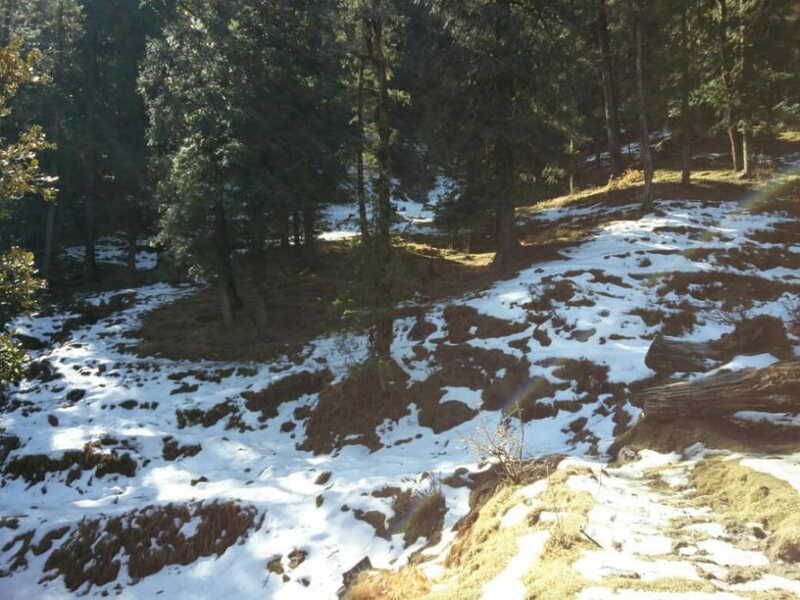 During winters, due to very little sunlight reaching the forests, the snow is found to be 1-2 feet deep. The trail ends at the main entrance to the Forest Rest House with views of beautiful meadows and green fences around it. You will also indulge in some hot cup of tea at the rest house and set on a walk to Vyas Shikhar (3000 m)with promising views of the Himalayan peaks of Kandariya Mahadev, Swargarohini, Ranglana, Banderpoonch to name a few. After lunch, you will be heading back to the campsite at Kanasar and leave for Chakrata. And after all, this, if we get some spare time, you could go on a short exploration of Chakrata - visiting the Tiger Falls, the Chintan-Haran temple, and even the Sadar Bazaar which is also important highlights of Chakrata trek. Deoban is located at 13 km from Chakrata at State Highway 1. One can easily reach here by hiring a cab or taxi. Though the terrain is rough and difficult. Hence, it is suggested to make the further trek on foot or take an SUV so that it does not get stuck. The nearest railway station is Dehradun Railway Station (100 km) and the nearest airport is Jolly Grant Airport (125 km). The trek starts from the forest chowki 4km after Chakrata. However, you are recommended walking all the way from Chakrata. There is a small museum near the forest chowki. The views of the higher Himalayas along the way cannot be ignored. The sun rays pass through the upright trees creating a beautiful geometric pattern on the road. The trek now moves from the tar road to a bridle path which the locals often use. The gradient is comfortable up to the small stop way of Badrikhal. Badrikhal is located along the mountain pass of the ridge which follows the watershed of the famous Tiger falls below Chakrata. The village of Mohna just above the falls is visible from here. The route continues till the army rock climbing institute. Photography is strictly prohibited here. The trek continues along the tar road for a while. The views along the Chakrata-Tiuni road are unending. This road leads to Kanasar (30km from Chakrata) which is a majestic open field set among large deodar trees. In fact, Kanasar has the largest diameter (girth) Devdhar tree in Asia. Although no rivers are visible in the valleys, the intersecting spurs of the hills make for a beautiful vista. The campsite for the night is located amidst tall fir and pine trees and is protected from the chilling wind. There you will have hot dinner beside a bonfire and will be set for a good night sleep with an awesome day trek. The next day you will start our trek post breakfast and walk towards the FRH of Devban. Packed lunch is provided for the journey. From there you will take a detour from the main road and walk along the forest trail. The trail rises up to the ridge and then curves behind the vertical rock patch. The forests here are very dense and you get a feeling of being watched all the way and will end at FRH. The meadows in front of the FRH are beautiful and the green fence gives it a postcard feel. After having tea at the FRH point you will proceed to Vyas Shikhar which is the highest point through this winter trek. At a height of 3005m, it gives a spellbinding view of the Himalayan vista. The peaks such as Kandariya Mahadev, Gangotri, Kedarnath, Badrinath, Dunagiri, Nandadevi, and Trishul are visible from this point. After finishing our packed lunch, you will head back to our campsite. You will pack the bags and proceed back to Chakrata. 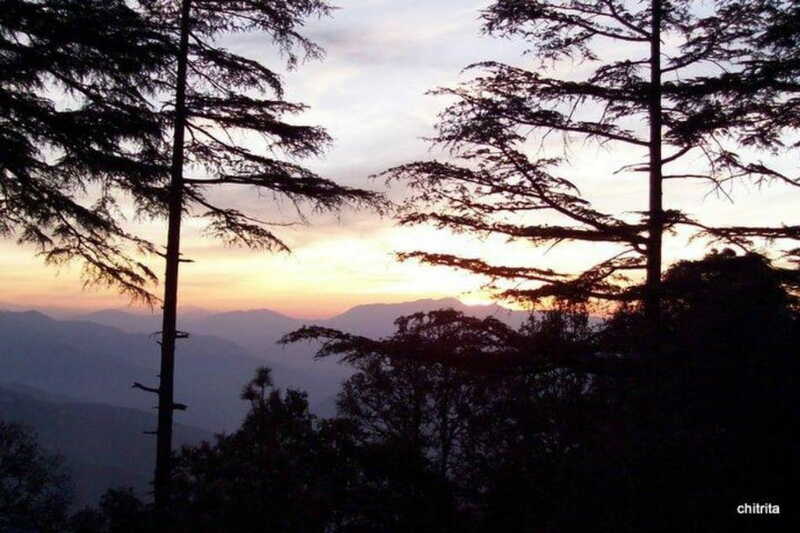 The rest of the day can be spent sight-seeing around Chakrata. The famous Tiger falls can be visited and the Chintanharan Shiv temple can be paid a visit. The main bazaar of Chakrata is called the Sadar Bazaar and is a small place. There are small viewpoints built all around Chakrata for tourists to sit and soak in the views. The army has done a wonderful job to keep the town clean and the construction regulated. Most of the official government buildings continue to be housed in old British colonial architecture style bungalows. The difficulty level for Deoban trek can be categorized as moderate one. The trails could have some unsmooth sections. Prior high altitude trek experience and peak fitness is ideal for treks like these, but even if you are a beginner in trekking there is no such difficulty in trekking. If you have set your mood the chilling weather of Uttarakhand will not be an issue. May, June, September, and October are the perfect months to do the Devban trek. This is because the temperature in Deoban is the most pleasing for trekking and not humid. So if you are looking for some beautiful place, this is one of those places for couples to visit in Uttarakhand where both can spend some quality time. This winter trek in Uttarakhand will never disappoint you. Although the accommodation is included in the trek cost to Deoban the place has plenty of places to stay and accommodation is not a problem. The price for the stay may vary from 500 Rs a night to a mere 100 Rs a night at the guest rooms built on top. The meal is included in the trek cost to Deoban. You can find the variety of food in Chakrata regional and global. Medium price and alright taste would give the cafe's of Deoban 3 out of 5 stars. The one thing you'd like to do here just sits and sip hot drinks, tea, coffee and other things people prefer having hot are the biggest sellers at all the cafes. You will get the transport support from and to Dehradun: starting from a pickup on day 1 to drop on day 2. Guide and cook fees are included in the trek cost. You need to worry about camping equipment because that is included in the cost. You will not have to pay extra for forest entry charges. You will get porter and mule support to carry camping equipment. Please note that personal luggage can be carried by mules and/or porters on chargeable basis. All veg meals starting from day 1 breakfast to day 2 lunch. you will be provided with hot breakfast and hot dinner. On trekking days, packed lunch will be provided. Tented accommodation throughout the trek will be provided to you. Transport to reach Dehradun from hometown is not included in the cost. You will have to pay extra. However, you will get help in arranging for the vehicle. Any transport support during the trek apart from what is included in the inclusion list. Accommodation in Dehradun will not be provided. But, you will get that in Chakrata during the trek. Personal luggage with mass not exceeding 12 kg per bag per person can be carried by porters/mules @ Rs 250 per day per bag. Therefore it is advised to carry less with yourself. ATM services in Chakrata Valley sometime does not work, so it is advisable to carry the required cash. Devban may have some good connectivity, but it is better to make important calls before you start the trek. In the trekking areas of Deoban, there is no such need of a trekking permit, you just need to obtain a TIMS(Trekker Information Management System) card. What is the best time for Deoban trek? The perfect time for Deoban trek is in the months of May, June, September and October. In this time Uttarakhand is really very pleasant and you will be seeing some beautiful sceneries. Also in these months the weather is not humid, not making the trekkers uncomfortable. I am a first timer. Should I go for the Deoban trek? Yes you can definitely go to the Deoban trek if its your first time of trekking. You will have an amazing journey. You will be witnessing some difficulty at the beginning in some trails but its okay if you rather don’t mind. What is the level of fitness expected from the participants of Deoban Trek? If you are a beginner then you are expected to be really fit as you don’t have any kind of experience of trekking, but if you have already gone to some treks earlier then you know how much efforts and strengths needed for the entire trek. How to prepare for Deoban Trek? You should be well aware of the place. you should do your own research from the internet regarding the temperature and the difficulty level of the entire trek. Do shopping of some of the things like some warm clothes and some of the necessary things for the trek. What is a suitable rucksack to buy for Deoban Trek? Deoban trek is a very short trek. It is of normally 2 days and 1 night trek. So you can carry a small rucksack for the trek. The rucksack should be waterproof in case there is any in between your stuff don’t get destroyed. There will be no porters to carry your things. You need to carry your own things. You can always take only necessary things for the trek rather than putting a lot of things for such a short trip. You should always take backpacks as they are easy to carry. You should carry shoes which have a good grip, which are actually made for trekking. You should not have shoes that are slippery and are not water proof. Apart from wearing shoes you shl=ould also carry an extra pair in case of an emergency. There should be someone who should know about the paths of the trek and is a well trained mountaineer. Guides will help you with any sort of thing needed in the trek. They will let you know the small small things which are valuable. What is the difficulty level of Deoban trek? The Deoban trek is graded as a moderate trek and you should be well prepared in advance for the trek. There can be some steep ascents and descents in the trek. So you should prepare yourself for that as well. There can be some unsmooth sections as well. How good is Deoban trek for a solo travel plan? The Deoban trek could prove to be one of the best treks of all. It is a very short one yet an adventurous one. If you are a fun loving and adventurous then you should definitely prefer going to the Deoban trek. You can get everything you want in this trek. The Deoban trek has got everything. 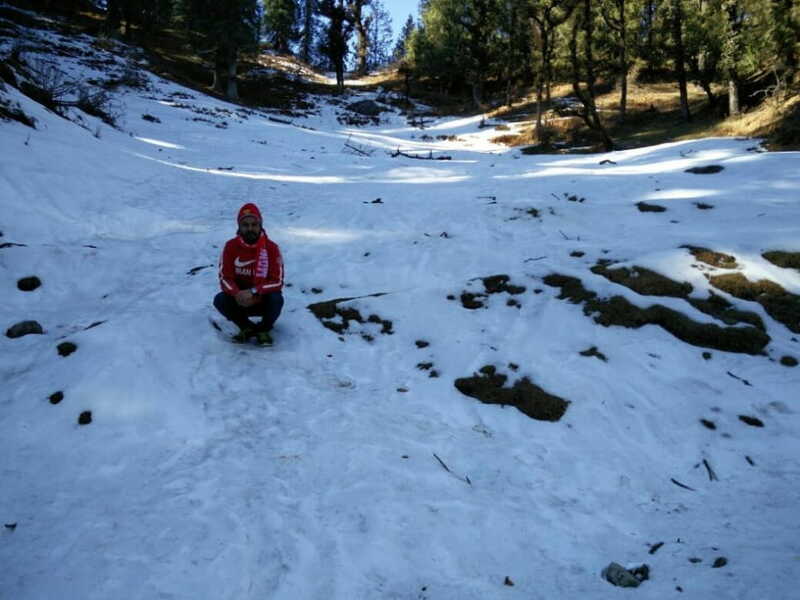 We did trekking , we even got to travel to the motorable road, we also went through the beautiful pine, oak and deodar forests. The best part of this trek was the beautiful house which was at an altitude of 2865m built in 1963. When you go to Chakrata, you will feel as if you have come to the british era. Everything and every buliding is so ancient here. you will not feel like leaving this place and go back to city. It becomes pretty difficult to travel in winters because of the snow which makes it difficult to travel. But it is a very beautiful place. I had gone with my family in this Deoban trek. This place is not that explored one. The Himalayas is yet to be explored so much. So there were not many people in the whole trek. We had consulted a team for organizing the whole trek. They had got really affordable packages which included almost everything. The team was very supportive. The organization made our trek possible. If it were not them we wouldn’t have been made it to the end. We have also got a guide who was very supportive. He helped us with the paths and trails of the trek and also the hotel rooms where our stay was very comfortable. I had the best trekking experience of my life here in Deoban trek. The whole trek was through the forests. Though this thing becomes scary in night but yet a beautiful trek to go on. The Deoban trek is a short one yet an interesting trek. We did so many things in just 2 days.